Titanbet Casino Review - 100% Cash Match Bonus on 1st Deposit! Phone Bill Casino introduce one of the top gaming sites in the UK called Titanbet Casino. For those of you who enjoy a huge range of games such as progressive jackpots, Roulette, Blackjack, Scratch Cards, Video poker, Arcade and Slots such as White King, Jackpot Giant and the Avengers, then we reckon you’ll soon become a fan. If you’re wondering how you’ll find the time to play so many games then don’t worry Titanbet Casino have you covered, you game on the go! All you need is a smart phone including Android, iPhone or Tablet device and you can play when and wherever you like. So move away from your laptop and enjoy innovative gaming on the bus, when you’re waiting in a queue or even relaxing in the bath. Titanbet Casino offer a payback every Wednesday where simply for playing on your mobile devices, you could be rewarded up to £250. So the more you play the bigger and better the win! Comp points which can be converted to gaming credit. 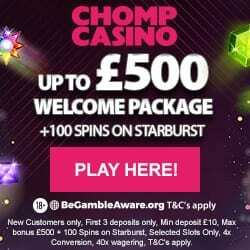 Registering is easy and when you’re ready to make your 1st deposit, you’ll receive a 100% cash match bonus up to £300. This basically means that if you take advantage and add the maximum amount, you’ll receive a further £300 making a grand total of £600. 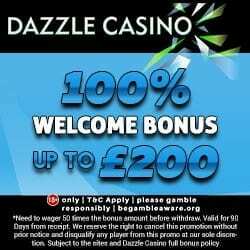 After 24 hours you’ll also receive a 50% refund bonus up to £200. They offer incredible monthly promotions to keep the excitement going, so make sure you check out Titanbet Casinos promotions tab where you’ll find their monthly programme. We’re sure you’re already planning on telling your friends about this incredible site, so why not both earn a little bonus for it. 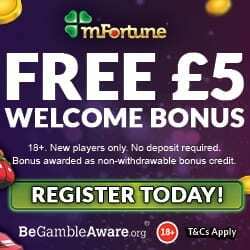 For each friend you refer who registers and deposits, you’ll receive £50 bonus credit and your friend will receive £25. Titanbet Casino offer a dedicated customer support team who are available 24/7 via email and live chat, they can assist with any casino related questions you have. To thank you for your loyalty Titanbet Casino have a VIP Programme which offers six levels, each with bigger and better bonuses. Moving through the different levels is easy, you simply have to play and with benefits such as a personal account manager, VIP upgrade bonus and special tournaments and events; the excitement will never end. Each time you reach a new VIP level you will automatically receive notification from their Support team, including details of all the new privileges you can expect to receive at your latest VIP level. On top of the incredible VIP programme you’ll also receive comp points as you wager, which can over time be converted into additional gaming credit. They accept the usual banking methods including Credit and Debit Cards, Paypal, Skrill, Neteller, Paysafe Card, Entropay and Boku pay by phone bill. So if you’re ready to have an incredible casino experience, then simply visit Titanbet Casino to register.